ET Terrain Viewer is a free software that allows the user to view GIS data in 3 dimensions. The user can load in the viewer Raster or TIN surfaces, Z enabled features and even plain 2D features by draping them on an existing surface, then navigate through the 3D environment using several different navigation techniques. 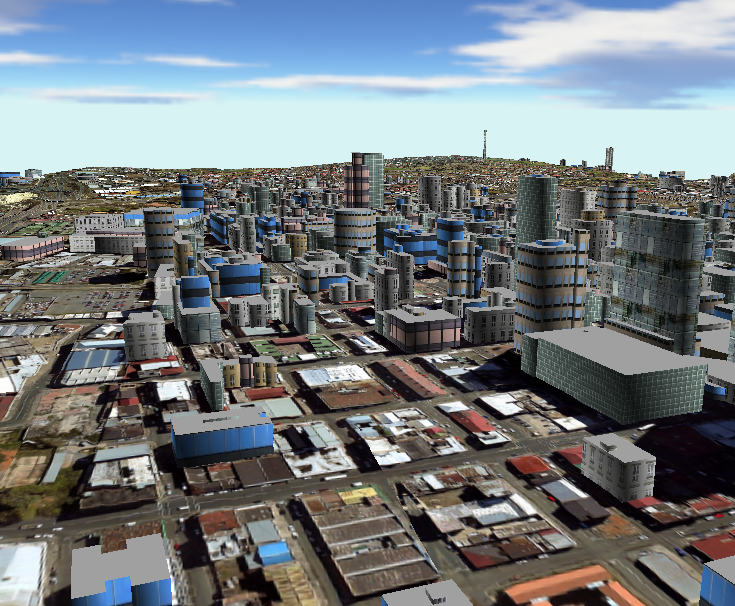 Create 3D scene using any of the spatial data sources listed above. Set symbology using gradients, textures based on elevation or attributes. Specify location of the observer and target using a 2D map. Walk over the terrain at user-defined offset from the ground. Define a route and have the observer follow it automatically. Be in control of the XYZ location of the observer and the target.